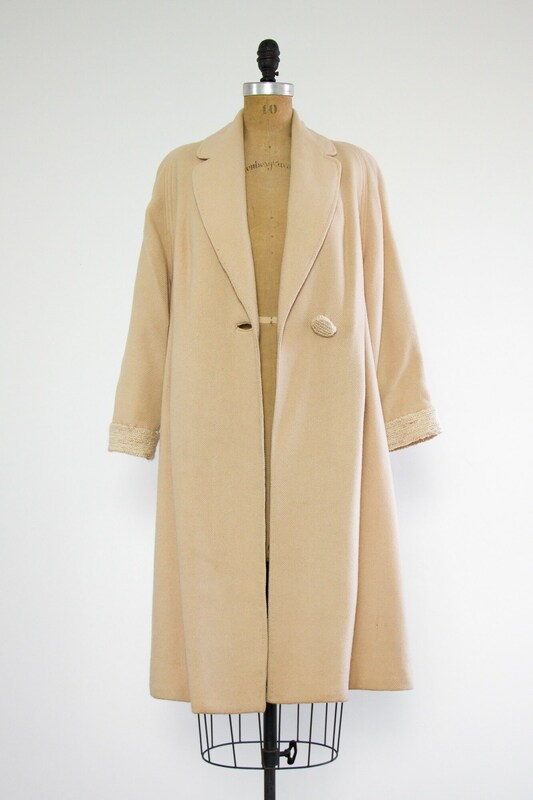 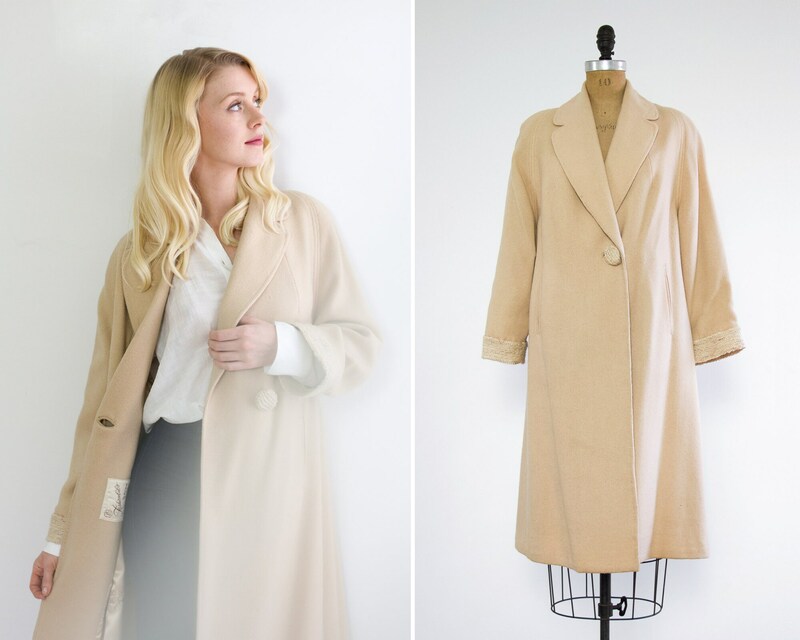 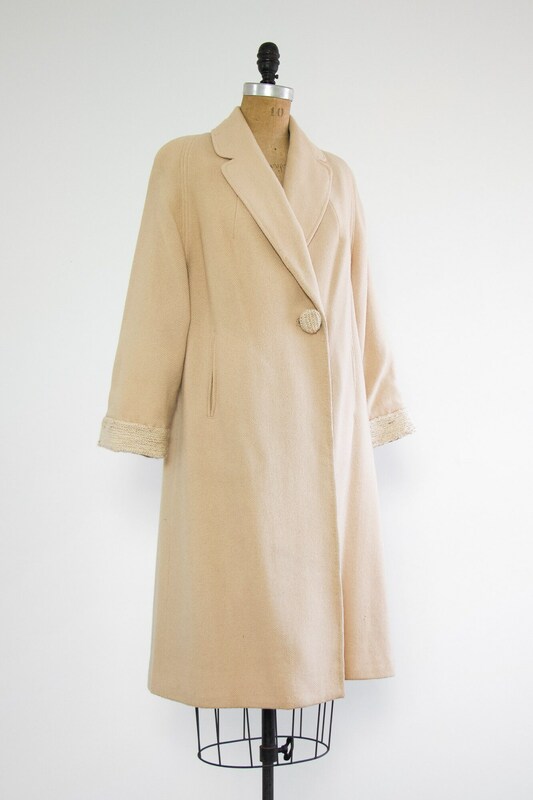 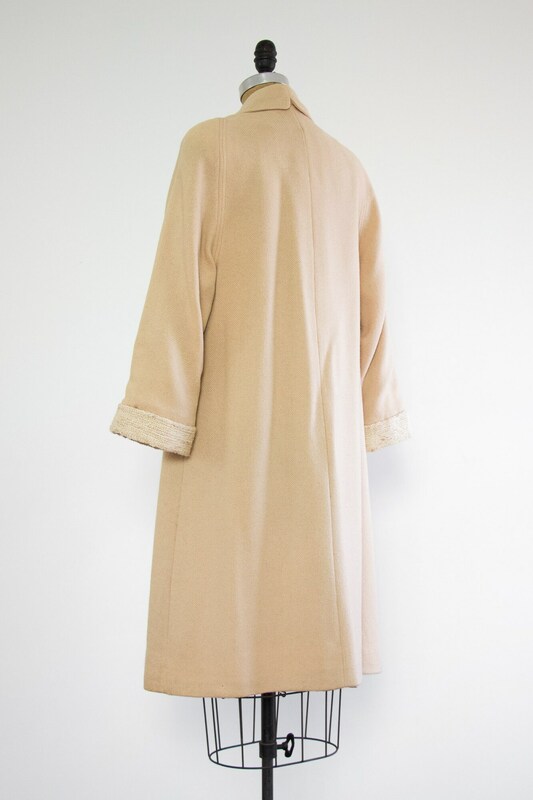 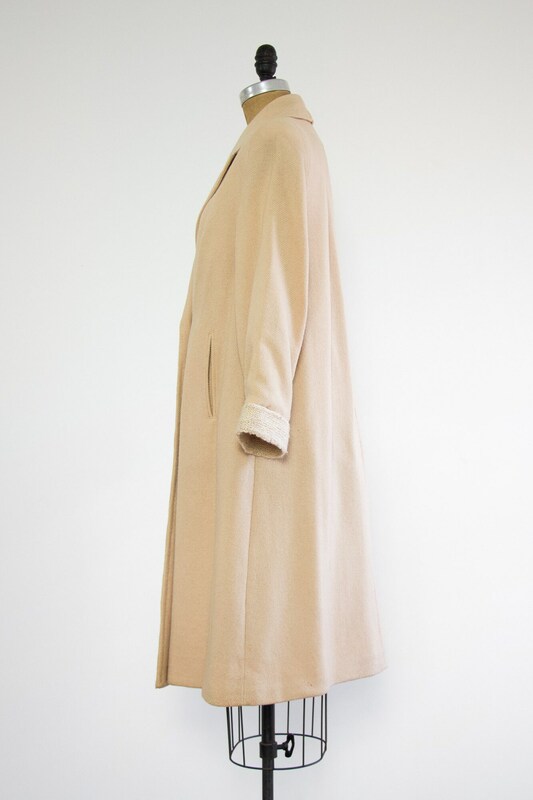 Vintage 1950s tan wool coat. 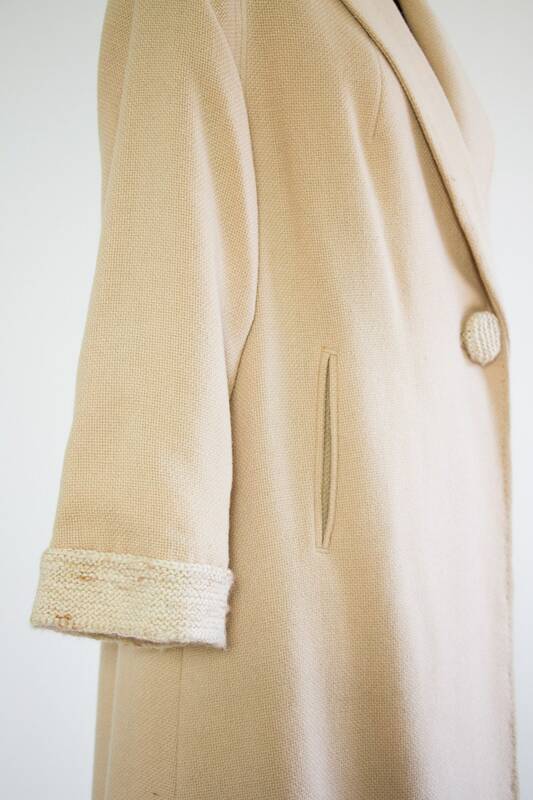 Made from a beige woven wool blend. 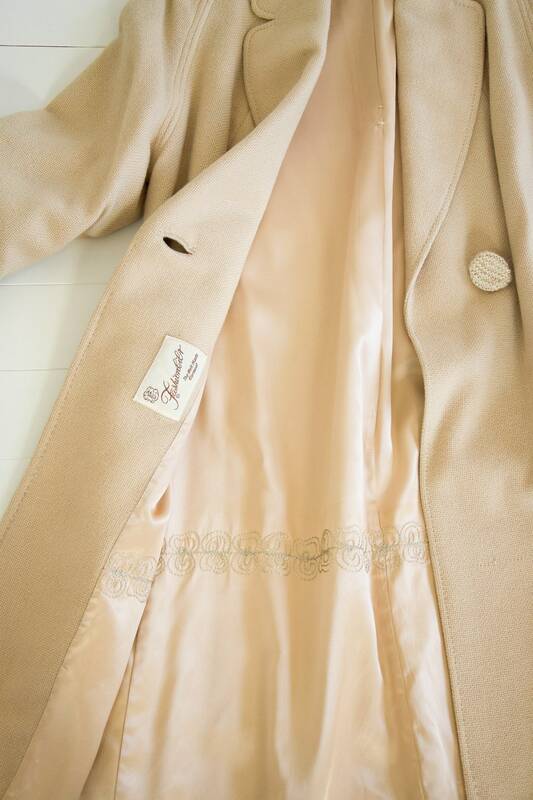 Has two outer pockets and long lapel collar that is notched in the back. 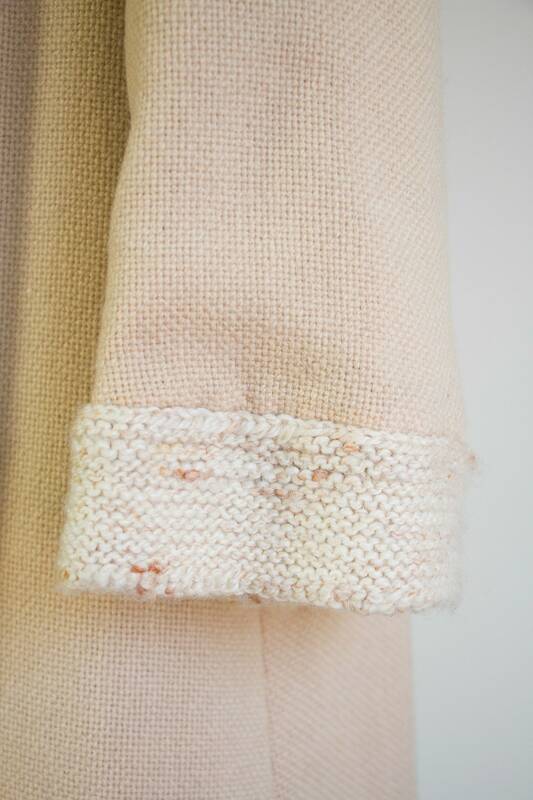 Features nubby crocheted cuffs that can be rolled up or down, and matching crocheted oversized button. 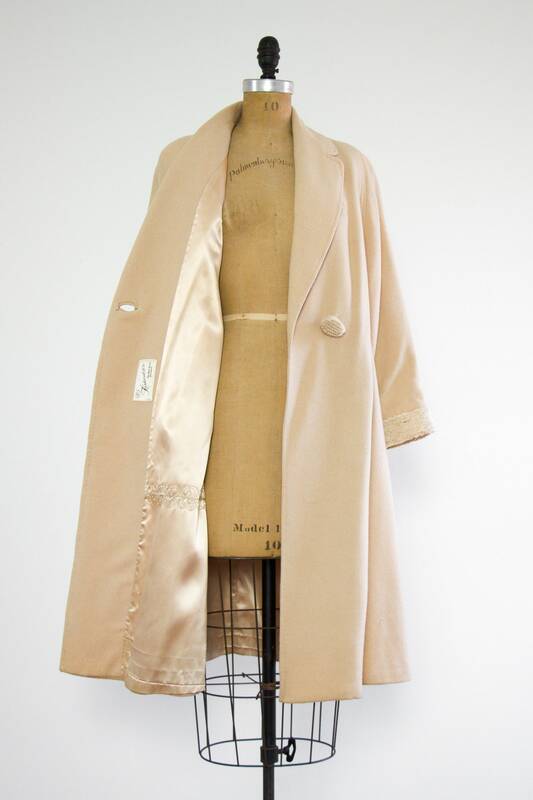 Fully lined in luxurious peach satin with embroidery work.